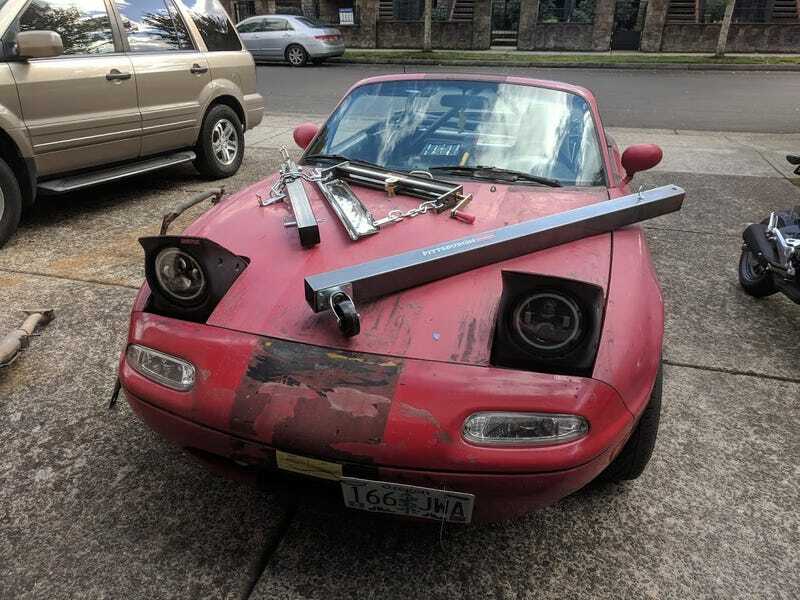 A friend’s Miata was involved in a crash last week, so I did the honorable thing and stripped out all the useful parts I could get my hands on before he sent it to the junker. Picked up some sunshades that were missing on mine, a protection panel in the trunk for fuel components that I’d never had, and a few other bits and pieces. I’m excited, the 1.8 starts off with more power and torque and has a much stronger aftermarket if I decide to go that route. Te swap itself doesn’t appear to be too difficult and a lot of others having completed it already with good documentation.